Remember the vendetta between Chris Harris and Ferrari? Well, it’s all good now between them and with the British journalist working for Top Gear, the Prancing Horse seems willing to supply its cars to Harris. The latest video sees the Monkey take out the most insane supercar Maranello came up with recently – the F12tdf – a lightened, tweaked and more powerful version of the F12 Berlinetta, and put it through its paces on the Fiorano track. 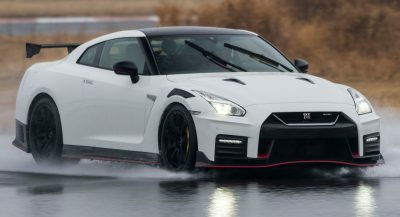 With all safety systems disengaged and a lot of smoke coming out from the rear tires, Harris tried to tame the 780 PS (770 HP) and 689 Nm (508 lb-ft) V12 beast, which has the ability to go from rest to 100 km/h (62 mph) in just 2.9 seconds, only to end up speechless of its linear acceleration, comparing it to the thrust of a jet fighter taking off. 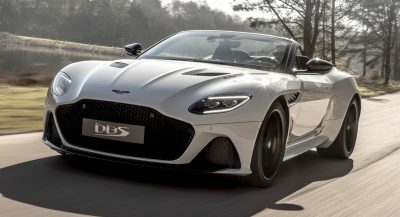 It’s not a common sight to see Harris coming out of a supercar weak in the knees and with nothing to say, so how did the review go? There’s only one way to find out. Chris is not a hipster. And hipsters wear shorts with socks up to their knees and Vans shoes (or skinny jeans to their ankles… and socks to their ankles as well. But there has to be a part of skin in between them). Who is Chris Harris and do we need this Trolldrivers to feed the poor mans world? If you love cars and don’t know Chris, please leave the world!